Tis the season to go walking.... fa la la...*cough* Ahem, yes, Pokemon Go now has a festive Pikachu for the holiday season and 7 new pokemonbut how do you get these adorable new 'mon? Well Cleffa, Igglybuff, Pichu, Togepi, Elekid, Magby and Smoochum are all hiding inside eggs. Here's how far you'll have to walk. Time to stock up on incubators and hope it's not icy out there. 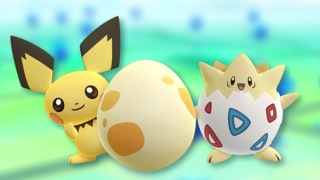 More Pokemon from the next generation will be arriving over the next few months and going by the Pokemon Go datamining that found shinies, pokemon genders and more avatar customisation, this holiday update is just the beginning of things to come.